Sockeye salmon in spawning mode. 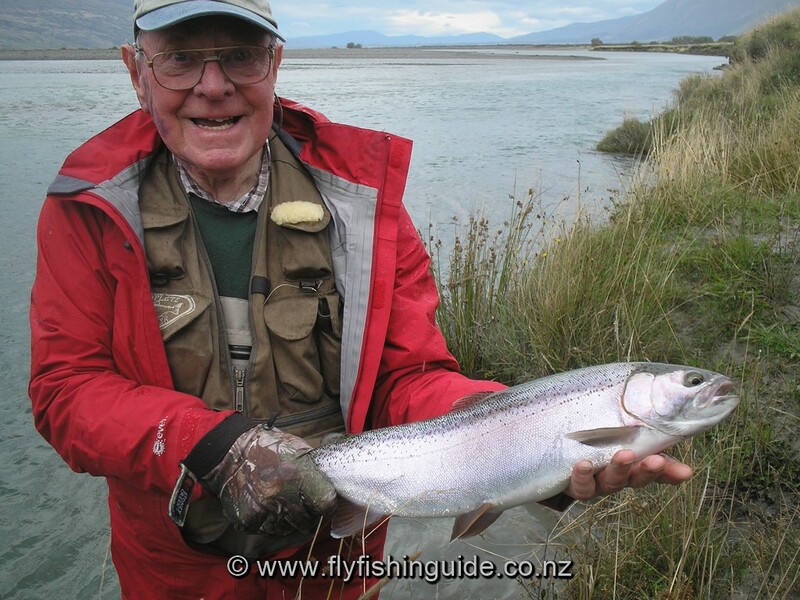 From late January, mature land locked sockeye salmon migrate up from some of the large lakes into certain streams near Twizel on their one and only spawning run. 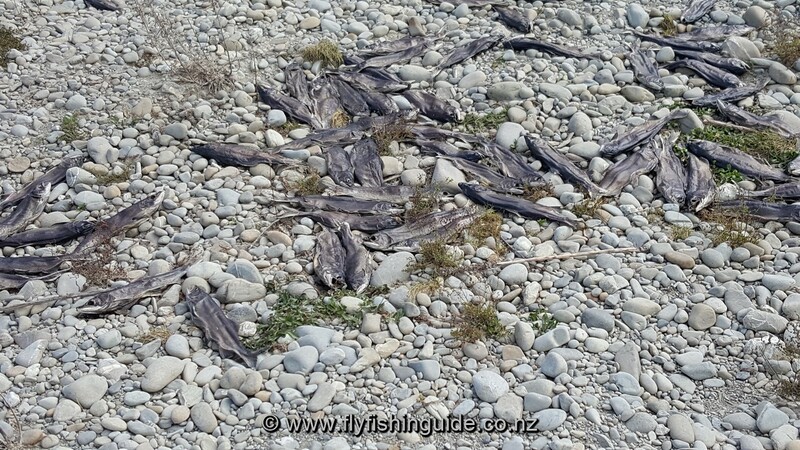 While sad to see the end result (dead fish everywhere) it is part of their natural life cycle and I have been told that the decaying carcasses help to enrich stream life for many aquatic insects and ultimately trout. It is a fabulous sight to see these industrious creatures hard at work making their redds. 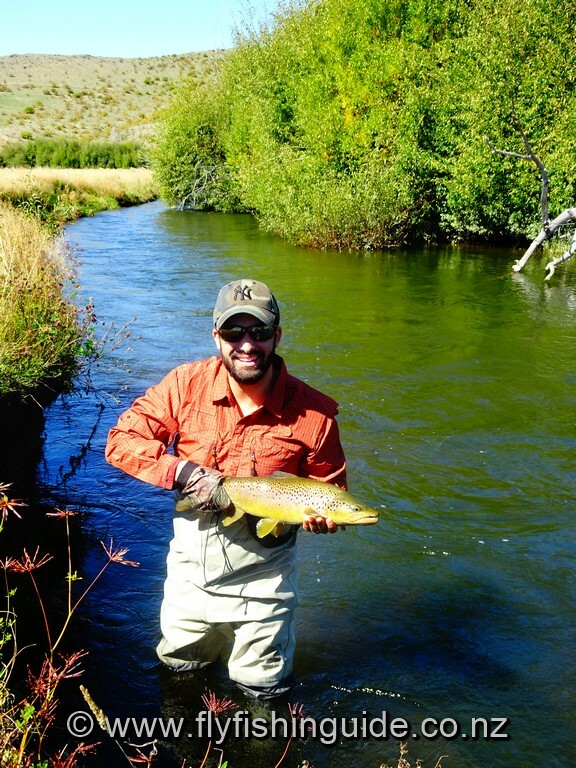 They are not large fish - most would be around 1lb and certainly less than 2lbs but what they lack in size they make up for in sheer energy! 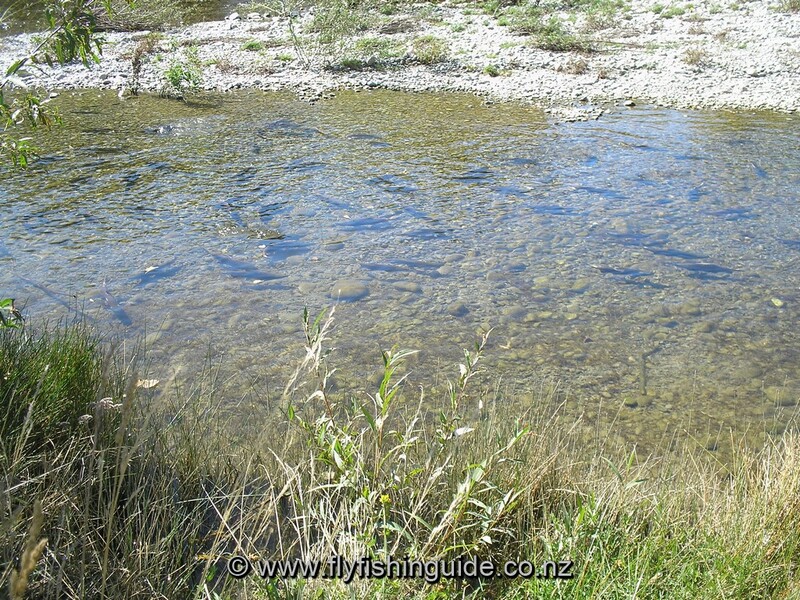 Although angling for these fish is forbidden after March 1, I believe they should be protected as soon as they enter the streams - at least a month earlier. It certainly makes guiding more demanding trying to decide whether the fish you are about to cast to is a trout or salmon although, through size and behaviour, it is possible to differentiate between the two. The other remarkable thing I have observed is that the resident trout are not bothered by the sudden influx of "invaders" and carry on "business as usual" as if the salmon weren't there at all. 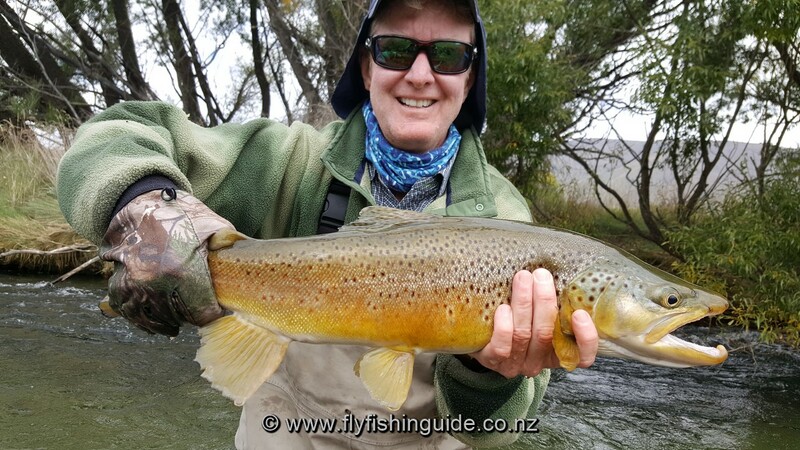 Guests for the latter part of March included Thomas a very keen young Frenchman, Tracy a very happy and lucky angler from the States and Tony all the way from the Orkney Islands. As has been the case nearly all season the weather was very unstable with a lot of cloudy, miserable days but that didn't dampen our enthusiasm! A special mention for Tony, my most senior client to date. 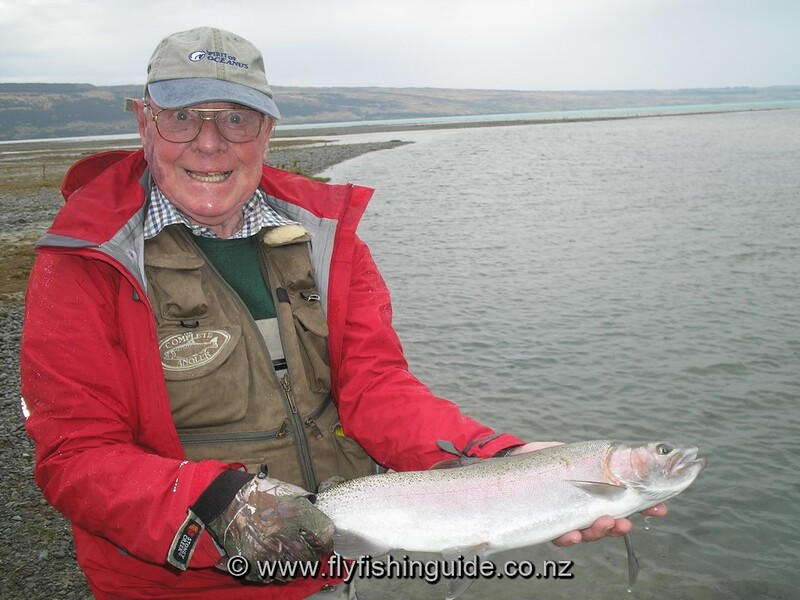 We only struck one sunny day out of our 5 days together but we made the most of the difficult conditions and Tony's cheerful attitude was rewarded with some lovely trout. 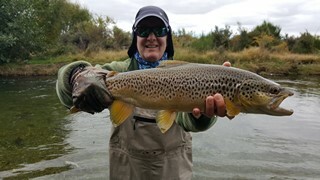 Tracy with a super brownie. 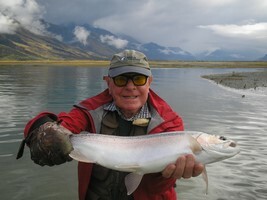 A top rainbow on a gloomy day. 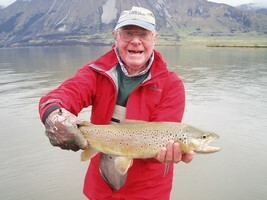 Happy angler with a lovely brown trout. Lots of spots on this trout! Poor weather not an issue for Tony. 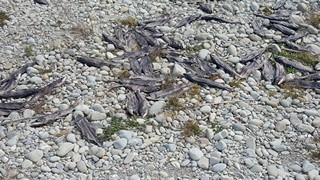 The unfortunate end for these salmon but that's nature at work. Tony strikes again! Thomas with a fine brown trout.